Selling Services: Why Should I Buy It from YOU? (1) What are you offering? (2) To whom are you offering it? (3) Why should they hire you? The third point—the “why”—seems to be the most troubling for many people. “You should work with me because I really care about my clients,” Terry, a 2-year veteran financial advisor, posed in a role-play sales conversation with me. Terry was stumped. 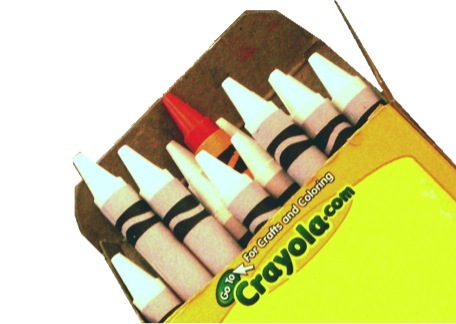 “If we’re all white crayons in a box,” I continued, “What difference does it make which crayon I pick? All of them would tell me, if they could talk, that they are really good at coloring inside the lines.” Once again, Terry could not answer. “What makes you think so?” I pressed. As soon as the words were out of his mouth, Terry’s face brightened. He realized he had stumbled onto the perfect answer—for him—to the “why you” question. When you can tell people why they should hire you or use your services in a way that distinguishes you from the other crayons in the box—perhaps by using powerful, personal stories or strong metaphors—you’ll get more business. Author: Sandy SchusselSandy Schussel, The “More Clients” Coach, is a Sales Trainer, Author, and Speaker who works with financial advisors and insurance producers to help them earn more, work less, and find what’s missing in their lives and careers. 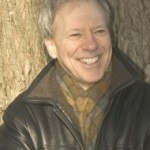 Sandy was himself an unhappy attorney whose life almost ended at age 41. For the past 15 years, Sandy has transformed his own life’s work, coming to offer individual coaching for professionals and seminars and workshops for companies about leadership, time management, and the development of high-quality loyal clients. For over a decade with First Investors—a national broker-dealer and life insurance company—in large part as National Sales Training Director, he spent countless hours in the field with representatives and designed advanced programs to improve their approaches. Along the way, Sandy added to his JD several FINRA licenses, including a Series 24, a life insurance license, and an RFC designation. Sandy has also published two books: The High Diving Board: How to Overcome Your Fears and Live Your Dreams, and Become a Client Magnet: 27 Strategies to Boost Your Client-Attraction Factor.